THE LAB determined that an EASYHEAT™ 6 kW, 150-400 kHz induction heating system with a custom-designed single position multiple-turn helical coil would be the right solution for their brazing application. It took two minutes to heat the 2”/51 mm OD brass assembly to 1425 °F (773 °C), meeting the client's time objective. As already mentioned, repeatability was a critical factor as to why they turned to Ambrell induction heating. The client was seeing inconsistencies from torch operator to operator, so switching to induction resolved that issue. Induction was also fast, and it doesn't introduce a flame into the work environment, making it more comfortable and safe. 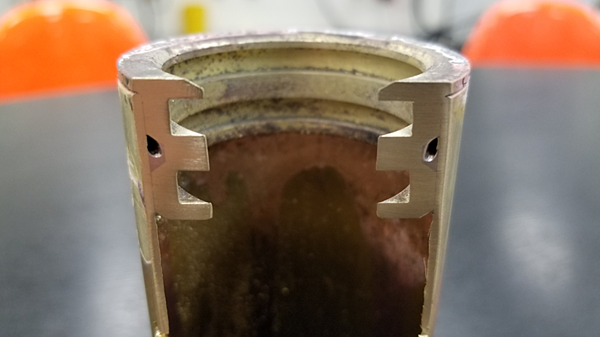 To read other brazing application notes from THE LAB at Ambrell, visit our brazing applications page.